Register for The Dirty South Roubaix 2019 today! The third installment of the Dirty South Roubaix is coming up on March 2 2019. Last year we had 166 registered and we expect to have more this year. Alto Pass has been so welcoming the first two years, that we will be back there again. 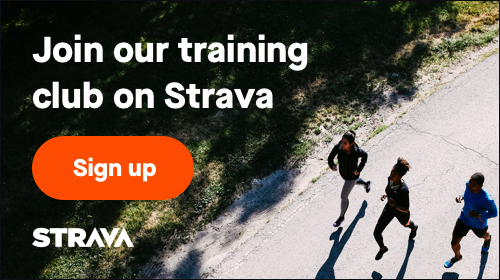 Again, we are planning to offer the 100k+ as the main event of the day, but also want to offer a shorter course for anyone who doesn't want to tackle the full 100k. The short course will be somewhere near half of the 100k. Don't worry, it will still have hills and gravel ;) The racers from last years Half Dirty sure didn't feel shortchanged after their race. People from the far North, to the plains of Kansas, South in Mississippi and East in Virginia have made the trip to ride the Shawnee Hills. We hope to have even more states represented this year. GPX / GPS route files will be shared before the race and there will be several volunteers on course with manned aid stations to ensure a safe fun event. If you are looking for an awesome route, great challenge, killer scenery, beer, food and cool peeps to hang out with for a day, come check it out. Registration opens at 8:00am CST on 11/1. 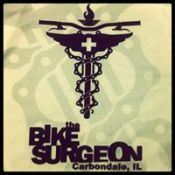 The Carbondale Bike Surgeon has stepped up again this year and is offering CASH for the fastest male and fastest female finishers of the 100k event this year. The prizes will be $200 for first and $100 for second. The third fastest male and female will receive free entry into next years event. This is for the overall fastest finishers. Some of you took advantage of the referral discount last year, so we are running it again this year. If you share the link provided to you after you register and 5 of your friends use that link to register, you get a refund of $10. 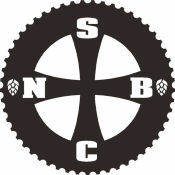 St. Nicholas Brewing Company is stepping up again to provide the post race hydration. We will also be providing some killer post race food again this year. 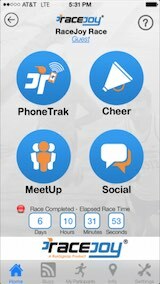 Make sure you download the RaceJoy mobile app for live phone tracking at The Dirty South Roubaix 2019. The Dirty South Roubaix 2019 is sponsoring RaceJoy to provide participants and spectators these features for free (normally a 99 cents upgrade fee for both the participant and spectator). The Dirty South Roubaix 2019 has course maps available. 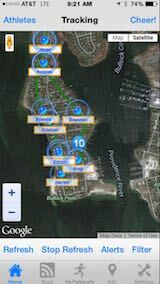 GPX file will be provided for each course before the race. Cue sheets will be provided and turns will be marked. The courses will be on open roads, so there may be vehicle traffic in areas. Road surfaces can be buttery smooth asphalt, chipseal, smooth gravel, chunky gravel, mud and dirt. You are advised to use good judgement and make safe decisions during the race. The distance will be at least 100K for the full distance and around 50k for the Half Dirty. There will likely be pain and suffering. There will be 2 sag stops with hydration and nutrition for the 100K and 1 sag stop for the 50K. At least one of these stops will have a wrench from the Bike Surgeon in Carbondale to help anyone out who needs it. We will shuttle a SAG bag with your own food/drink/gear to the stops before the race if you would like. There will also be a sweep vehicle to pick up anyone who needs a ride back to the start/finish area. Last year, a few riders and even some equipment threw in the towel and grabbed a ride back. Most of us ride cross bikes with light knobbies or file treads on these rides. Many of us would ride a gravel bike if we had it, but we don’t, so a CX bike does just fine. Some people ride MTBs with light knobbies. If I had to suggest a bike to ride on this course, it would be a gravel/cyclocross bike. Tubeless is the way to go for me, it may not be for you. It all comes down to riding something you are comfortable on and you trust to get you through the day. Last year, the fastest bikes were cyclocross bikes and gravel bikes. There were some mountain bikes that finished well also. Even some crazies were on single speeds. The race will start and finish in Alto Pass Illinois at the village park. They have a large pavilion with a stone fireplace, heated restrooms, a little hiking trail and even a playground if you get bored. If the weather turns out terrible, the village hall is just across the street and we will have access to that if needed. There are a couple areas on the course that a cheering/heckling/hand-up group could assemble. Our goal is for this to be a fun event that people want to come back for another one next year. Ultimate goal is a series of races using different areas of SoIL as we have been doing with our rides for several years. We will have a few photogs running around capturing images at the race. We will do a packet pick-up the night before at a local establishment with local brews and eats. There will also be morning of packet pick-up at the race start/finish area. There will be cool T-shirts with your entry. There will be cool custom prizes for top finishers in each category. Food and beverages will be provided to race participants after the race. I can tell you this much so far – It will be hot food, it will be good food, and it will be included with your race entry. Lodging options will be shared on the event page for anyone looking to stay local. There are many cabins and B&B in the area on the wine trail. Hotels in Carbondale, Anna or Murphysboro aren’t too far away either.